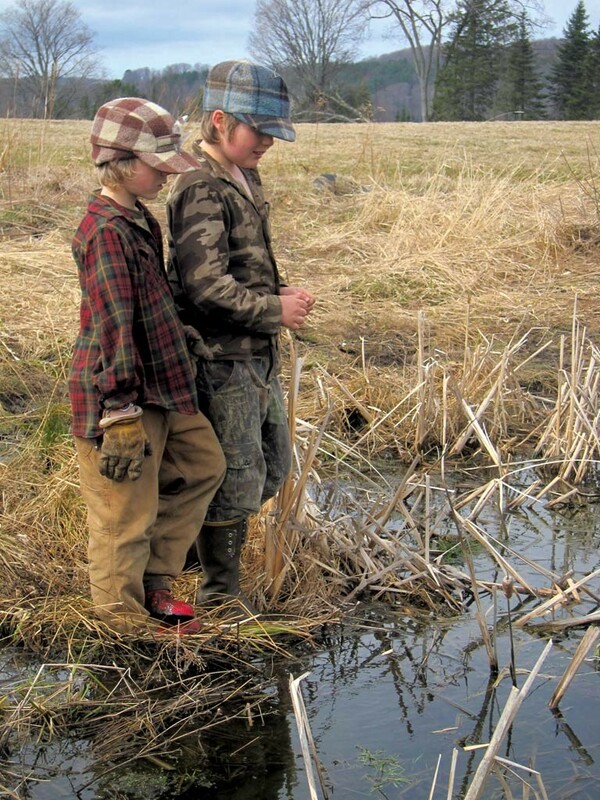 Fin and Rye Hewitt are boys on a mission. On a cool afternoon in late summer, the two boys tear across the 40 rolling, green acres in Cabot that they call home — on bicycle, by foot, at a run and occasionally on a thoughtful walk. There are pack baskets to shoulder, trapping manuals to read, cats to chase and blueberries to pick, and woods to roam in pursuit of who knows what other projects. It's a hoop to jump through that, at some level, runs counter to the ideals of unschooling. That said, it's not hard to break down Fin and Rye's interests into the subjects they might study in school, said Hewitt, who was preparing for the year ahead: geography; reading and writing; anatomy; earth sciences. But that's not the point, writes Hewitt in Home Grown. "Such segregation is not the way of the natural world, where all of these aspects form an ecosystem of knowledge and experience that cannot be defined by the commonplace vernacular of standardized learning." Frustration with that kind of educational system might account for the increase in interest in both home- and unschooling. It's a frustration Hewitt knows firsthand. Burned out on school and unconvinced of its relevance for his life, he dropped out at 16, the so-called "school-leaving age" in Vermont. He went on to work a series of jobs in various trades, mostly construction. A few years after dropping out, Hewitt began rising early every morning to write, not because of any school assignment but because of some innate desire. He went on to a successful career as a freelance writer; his articles have appeared in numerous national magazines, including the New York Times Magazine, Wired, Discover and most recently, Outside. He authored three other books before Home Grown: Saved, The Town that Food Saved, and Making Supper Safe. "At that time, I wasn't completely convinced that this was going to work," says Gray. "It was a more radical concept of a school than I was quite ready to accept." "They were friendly," says Gray. "They looked you in the eye when they talked to you. They ran around and looked like real kids," but also exhibited self-control and restraint. Gray wondered, with a bit of skepticism: "Can you provide at home the kind of environment that I felt was necessary for children to become educated when they're in control of their own schooling?" Gray's initial skepticism is nothing new to unschoolers. The method prompts a number of concerns from onlookers. Will kids go on to college? Can they function in "normal" society? What if they want to be doctors or lawyers or engineers? Many critics point to a Canadian study that found that, while most homeschooled children outperformed their classroom-educated peers on standardized tests, unschooled kids performed worst of all. Gray has his doubts about that study; the median age of children in the study was 7, and only 12 students in the study qualified as "unschooled." Plus, who says a standardized test is the best measure of an education? 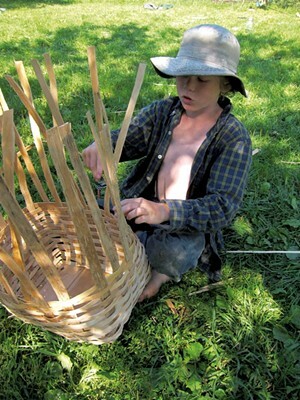 Gray has undertaken two surveys of his own on the subject of unschooling, of parents and adult unschoolers themselves. He cautions that the results should be taken with a grain of salt; naturally, as with any survey, there's a degree of self-selection in responses. But overall, unschoolers responded with great enthusiasm about their educational experiences as children. Of the 75 individuals surveyed, only three expressed negative views, and all three came from families where circumstances such as a parent's mental illness or fundamentalist religious beliefs factored into educational choices. 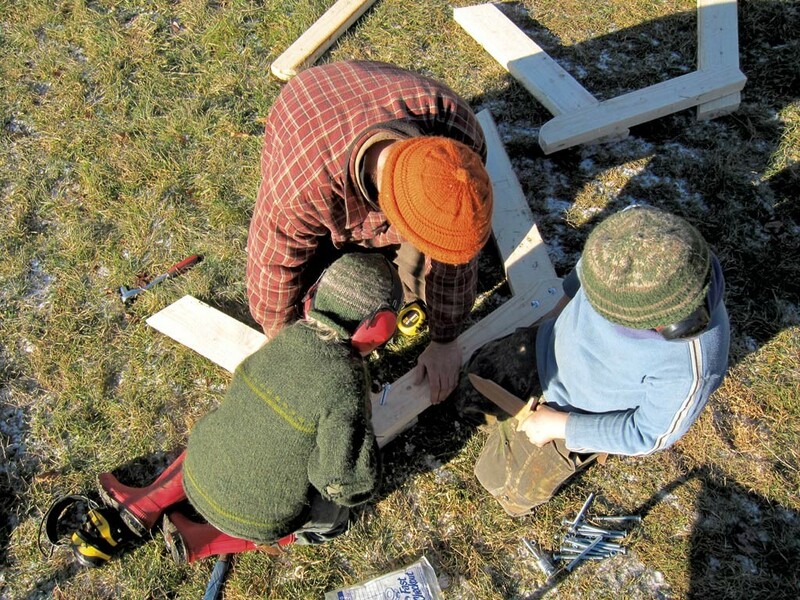 "The findings of our survey suggest that unschooling can work beautifully if the whole family, including the children, buy into it, if the parents are psychologically healthy and happy, and if the parents are socially connected to the broader world and facilitate their children's involvement with that world," wrote Gray in a series of blog posts about the survey for Psychology Today. Eighty-three percent of the grown-up unschoolers had gone on to some form of higher education, with 44 percent completing or currently working on a bachelor's degree. (Many of the others had gone specifically for skills or licenses related to vocational interests that did not require a bachelor's degree.) 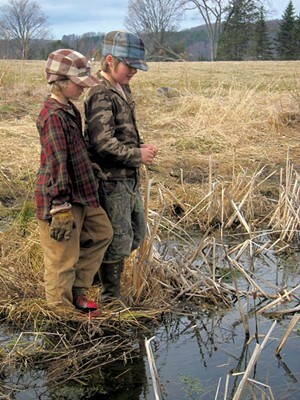 Their chosen careers included urban planner, field biologist, archaeologist and textile artist. Many felt that they had an advantage later in life while pursuing higher education because they weren't burned out on the classroom and had cultivated the skills of self-directed learning. I arrived at the Hewitts' farm with a baby in tow; my usual babysitter was out of town, and I figured if ever there was an interview for which a toddler might be welcome, it must be this one. Asa, at nearly 14 months, dozed on the long drive to Cabot and woke up to a picturesque farm scene. I walked the fields of the Hewitts' farm on what Ben Hewitt called the nickel tour, the baby on my back. Asa pointed at cows, cackled over Rye's goat kid, Monkey, and, when I set him loose in the front yard, proceeded to eat a bit of dirt and chase the family dog. Fin and Rye tore through the front yard. Asa watched them go, and turned back to, well, eating dirt. I spent the next several days wondering, often: Should I send this child to school? 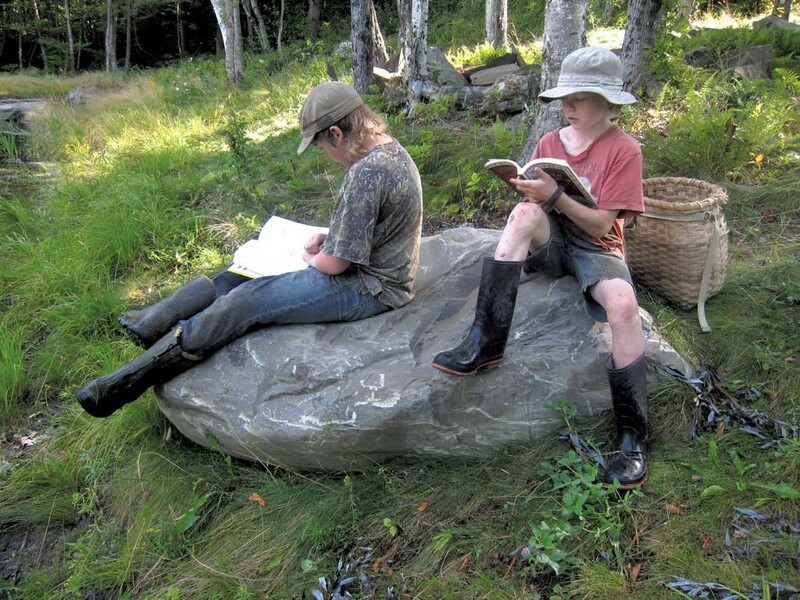 Home Grown: Adventures in Parenting Off the Beaten Path, Unschooling, and Reconnecting With the Natural World by Ben Hewitt, Roost Books, 224 pages. $14.95 paperback. The original print version of this article was headlined "School's Out Completely"